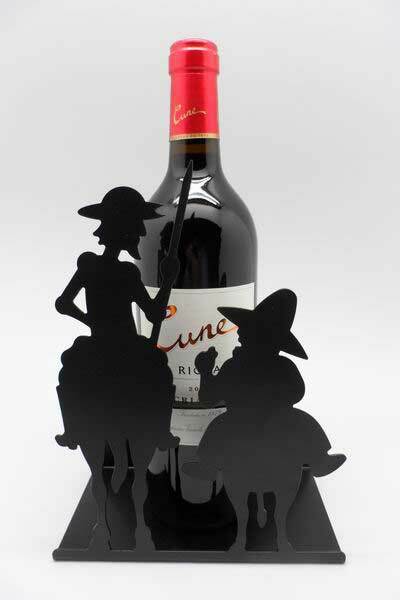 Metal wine rack with the shape of Don Quixote de la Mancha and Sancho Panza. This wine rack has an innovative and practical style. Usually, the menu is the focus of lunch but the ornaments are also very important. This wine rack with the most emblematic characters of Spanish literature give the Spanish touch on the table.